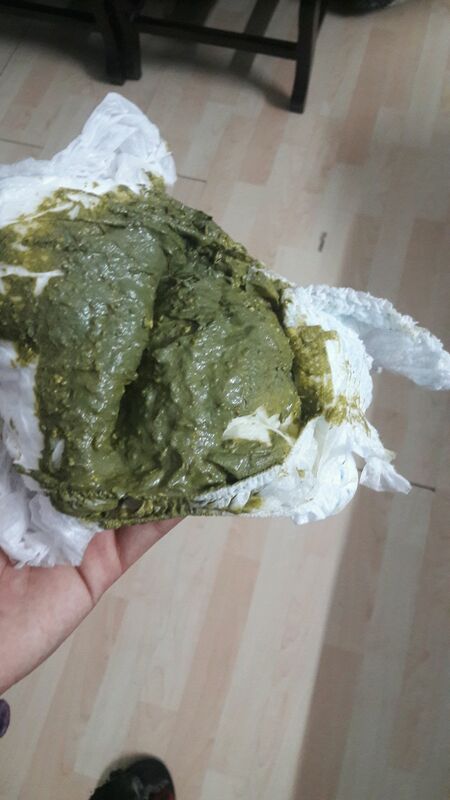 Hi all, my son is doing green color potty..is it normal?? or is it a sign of having some kind of infection or intolerance to lactose..!!! Then not to worry it's normal. hey vidhima ,is the poop color is bright green ,and watery? My daughter is also doing green color potty,, she is also having two times formula milk, ND rest of time braest milk..
My one and half month old baby girl doing green colored poop. No formula milk. Only feeds breastmilk. Poop is watery and red color patches seen.. I m worried. Hey my baby is 1 n half month old.since yesterday he is doing green color potty(3 times), today morning his body temperature was 99 degree , now its down . Is it normal.? As far as I know, if the baby is under weather or has caught a little cold then the poop is green. I've experienced it with my daughter. Yes it is normal need not to worry it is bcz of fm . My baby also doing a this type of green poty. What does green potty means ?